Telecommute, teleworker, networked, distributed workforce, connected, remote, cloud, home-based, mobile … and the terms for working remotely go on and on. It all comes down to the idea of working somewhere other than in an employer's workspace. My first experience with remote teams was in 1990 when I worked with a management company whose core development team was located across New York, New Jersey, Pennsylvania, and North Carolina. The years have gone by and the tools available for collaboration and communication are more sophisticated and numerous. It's a lot like the 1970s Virginia Slims ads; You’ve come a long way baby. According to a survey by Intuit, an estimated 60 million people – more than 40% of American workers – will be freelancers, contractors or temp workers by 2020. According to Global Workplace Analytics, 463,000 disabled employees regularly work from home as a “reasonable accommodation” per the Americans with Disabilities Act. Communication within a team is the linchpin to successful projects. I’ve found everyone has their own communication style and methods for conveying information. While email is still a big part of corporate communications with over 2 billion people still utilizing it as their primary form of communication and sharing of information there is a growing trend for using email more for notifications and less as a conversation/communication too. A good communication tool allows for real-time exchange of ideas, collaboration, and conversation. Some popular tool include HipChat, Skype, Google Hangouts, and online meeting platforms like AnyMeeting, join.me, GoTo Meeting, and WebEx. 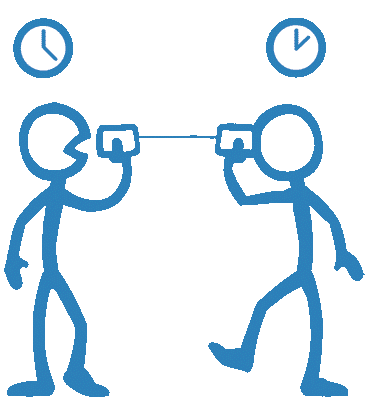 These applications are great for video conferencing and team meetings, but they can be a bottleneck to progress when trying to coordinate a team across time zones. Working across time zones can be tricky and text-based chat options are handy to have as part of your communications package. Just about all online project management tools have a built in private chat application that compliments social commenting on projects. This allows group communication and private conversations to be centrally stored and easily searched within the context of the team’s work. The centerpiece of your toolkit is going to be a project management and collaboration platform like Trello, Podio, Slack, Teamviewer, Basecamp, Zoho, Asana, or one of the many other platforms available. Whether you’re a team of 2 or a company of hundreds, there is a platform out there to suit your work style and meet your needs. I lean toward Podio because it’s a robust, flexible, easy to use, and customizable solution. I’ve been able to build apps within workspaces that support the needs of specific teams. Others I’ve worked with prefer Trello and Slack. Larger organizations use Basecamp. You can see how research will help you figure out what’s best for your team. Check out this Lifehacker article as a starting point to your search. Capterra.com is a good starting point to search out business software in all of the categories I’ve mentioned. The nice thing about Capterra is the listings include reviews. Tracking time people work on a project is important when it comes to payroll and managing project resources. It’s critical if you’re a freelancer or contract worker and expect to appropriately bill clients. Popular tools include Toggl, TSheets, and Time Doctor. The last tool I recommend for your toolkit is a reliable cloud document storage & management platform. A document storage service like Box, Dropbox, or Google Drive is needed so that documents can be worked on collaboratively without keeping up with which email has the correct version attached to it. Worse yet, finding out you weren’t copied on the latest email chain when a team member hit “reply” instead of “reply all.” A cloud based solution also allows for easy sharing of documents with customers, clients, and others outside of your organization. Having an infrastructure that lets all team members work together effectively and efficiently across time zones and in a way in which they feel connected is critical to success. G Ronnie Kraegel is a passionate advocate & supporter of sustainable communities and business with 30 years experience as a consultant, trainer, and business coach to nonprofits across the United States. As Namaara MacMoragh she can be found at Etopia Communities in Second Life sharing her passion for exploring new ways to collaborate. Visit http://greatkreations.com to learn more. One of the best tools for communicating and collaborating with your remote teams are webex, R-HUB web video conferencing servers, gomeetnow, gotomeeting etc. They work well.